After earning a Bachelor of Arts degree in History at Maryville College, Jeff attended the University of Tennessee College of Law, graduating in May of 1990. He served the poor through one of the nation's oldest law school legal clinics, representing clients in the areas of family law, juvenile dependency law, and bankruptcy. While in law school, Jeff enlisted in the U.S. Army Reserves and served in the Army Reserves and Florida National Guard for over 6 years. 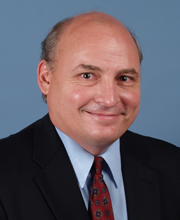 He returned to Bradenton after law school and was admitted to the Florida Bar in 1990. Jeff lives in Bradenton with his wife, Jeannie, and their seven children. Jeff's community involvement has included the Hernando DeSoto Historical Society, the Board of Directors of the Manatee County Boys and Girls Clubs, coaching Pop Warner football and various sports at the Manatee County Family YMCA, and teaching at the St. Joseph Catholic Church's Parrish School of Religion. In 2014, Jeff was elected by his peers to the American College of Trust and Estate Counsel. The American College of Trust and Estate Counsel is a professional association consisting of approximately 2,700 lawyers from throughout the United States. Fellows of the College are nominated by other Fellows in their geographic area and are elected by the membership at large. A lawyer cannot apply for membership in the College. Fellows are selected on the basis of professional reputation and ability in the fields of trusts and estates and on the basis of having made substantial contributions to these fields through lecturing, writing, teaching, and bar activities. 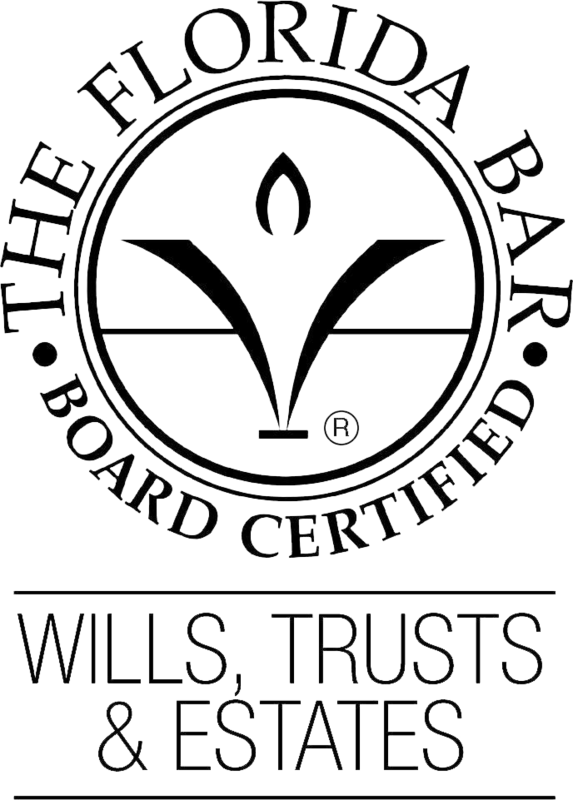 The purposes of The American College of Trust and Estate Counsel are to maintain an association, international in scope, of lawyers skilled and experienced in the preparation of wills and trusts; estate planning; probate procedure and administration of trusts and estates of decedents, minors and incapacitated persons; to improve and reform probate, trust and tax laws, procedures, and professional responsibility, to bring together qualified lawyers whose character and ability will contribute to the achievement of the purposes of the College; and to cooperate with bar associations and other organizations with similar purposes. He is a member of the American Bar Association, The Florida Bar, and the Manatee County Bar Association. An active member of The Florida Bar's Real Property, Probate and Trust Law Section, Jeff currently serves as a member of the Section's Executive Council, as Co-Editor of the Section's column in the Florida Bar Journal, and Chair of the Wills, Trusts and Estates Certification Review Course. He was recently awarded the John Arthur Jones Service Award for his dedication and services to the Florida Bar Real Property, Probate and Trust Law Section. He is a member of the Section's Probate Law and Procedure Committee, the Homestead Issues Study Committee and the Ad Hoc Committee on Estate Planning Attorney Conflicts of Interest. He is a past Chair and current member of The Florida Bar Probate Rules Committee. Jeff is a past president and current Director of the Manatee County Bar Association. Jeff has been a frequent lecturer and author for various professional groups in the areas of probate and estate planning. He has presented lectures and course materials for the Florida Bar, the Manatee County Bar Association, the Sarasota County Bar Association, the Venice Estate Planning Council, the Manatee Estate Planning Council, the American College of Trust and Estate Counsel, The Attorney's Title Insurance Fund, The Florida Guardianship Association Gulf Coast Chapter, and the National Business Institute. He has served as an adjunct faculty member at the Manatee Community College (now the State College of Florida), teaching courses in its Paralegal Studies Program. He is current member of the American Inns of Court, the Manatee County Estate Planning Council, and The Florida Bar's Elder Law Section. Jeff is Board-Certified by The Florida Bar as a specialist in Wills, Trusts and Estates and has achieved a "Superior" rating from the AVVO attorney rating service and a "AV-Preeminent" peer review rating through Martindale-Hubbell. He practices in the areas of estate planning, wills, trusts, probate, trust administration, powers of attorney, guardianship, elder law, including Medicaid qualification planning for long-term nursing care, and real estate. Jeff can be reached at telephone extension #1323 or by email at jgoethe@barneswalker.com.